The statement, announced on August 31, 2017, says that the Russian aggression, which began with an illegal occupation and attempts to annex the Autonomous Republic of Crimea and the city of Sevastopol, continues to claim human lives. According to the statement delivered by Igor Lossovsky, Acting Permanent Representative of Ukraine to the international organizations in Vienna on August 31, the Russian aggression, which began with an illegal occupation and attempts to annex the Autonomous Republic of Crimea and the city of Sevastopol, continues to take away human lives. Since the last meeting of the Permanent Council, hybrid Russian forces violated ceasefire about a thousand times, of which 25% were committed by a Minsk-banned armament. 22 Ukrainian servicemen were killed and 117 wounded. The statement also specified that the last attempt to establish a comprehensive and sustainable ceasefire (a ceasefire from midnight on August 25 on the occasion of the beginning of the academic year) is strictly observed by Ukrainian servicemen, while the SMM continues to register regular armed provocations by Russian hybrid forces along the contact line in Donbas. The statement also points to the continuing flagrant violations of the sovereignty and territorial integrity of Ukraine on the part of the Russian Federation. In particular, it concerned a bill signed on July 30 by the Russian president simplifying the procedure for obtaining Russian citizenship for Ukrainian citizens, according to which those wishing to acquire it no longer need to provide Russian authorities with certification from the Ukrainian authorities that they are renouncing their Ukrainian citizenship. Furthermore, regarding the visits of the Prime Minister and the President of Russia on August 4 and August 18 respectively to the temporarily occupied Autonomous Republic of Crimea and Sevastopol, it was pointed out that the presence of Russian officials in the internationally recognized borders of Ukraine is unacceptable without the prior consent of the Ukrainian authorities. The statement of Ukraine further emphasizes the requirement to exchange all hostages and illegally detained persons, on the principle of "all for all", this remains another obligation under the Minsk agreements that Russia does not fulfill. At least 140 Ukrainians are hostages of illegal armed formations backed by Russia in certain districts of Donetsk and Luhansk regions of Ukraine, 15 more Ukrainians are illegally detained in Russia and at least 29 in the Russian-occupied Crimea and their rights and fundamental freedoms are clearly ignored. 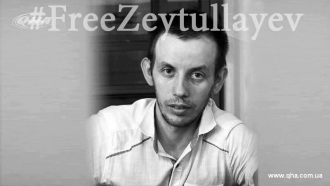 On July 27, the Russian Supreme Court increased the term of imprisonment of 12 to 15 years for Ruslan Zeitullayev, a citizen of Ukraine, who was illegally convicted on a fabricated charge. On August 4, the Russian Occupation Court of the Crimea sentenced the citizen of Ukraine Vladimir Baluh to almost 4 years of imprisonment on a fabricated pretext solely for his civil position and peaceful protest against the illegal occupation of his native land, according to the statement. On August 14, 2017, the Ukrainian Foreign Ministry expressed its strong protest and outrage at yet another wave of political repression and human rights violations by the Kremlin against Ukrainian citizens. 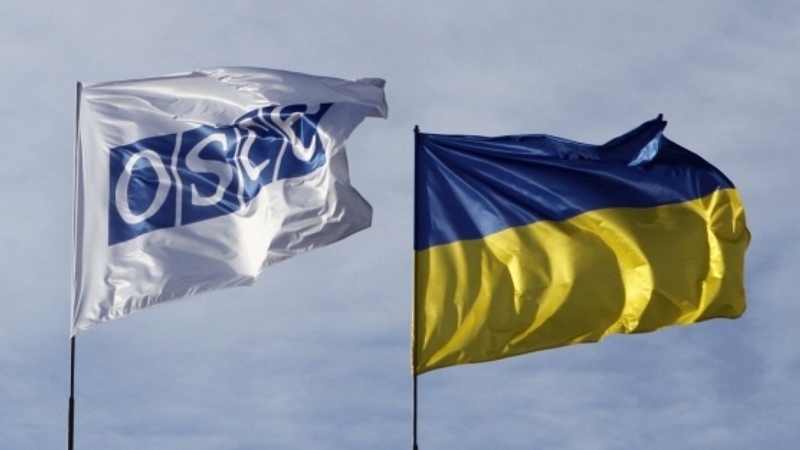 "We call upon the Russian side to demonstrate the necessary political will to implement the Minsk agreements, most notably their security and humanitarian aspects, as well as to revert the illegal occupation of the Crimean Peninsula, which remain the main obstacles for the peaceful resolution of the Russian-Ukrainian conflict with full respect for the OSCE principles and commitments as well as restoration of the territorial integrity and sovereignty of Ukraine within its internationally recognized borders," the statement said.